BBC 1 Daytime broadcasts the new 5-part series, Privates, in January 2013! 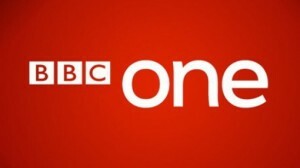 The episodes are to be broadcast every day, from Monday 7th January – Friday 12th January at 2:15pm. Steven makes a guest appearance, playing Major Cunnicliffe, in two episodes: Episode 3 (Wednesday) and Episode 5 (Friday). Steven filmed these episodes in Northern Ireland in February 2012. Britain 1960: as the age of respectability gives way to the era of rock and roll, we follow the stories of eight privates who are part of the last intake of National Service. Stationed at a basic training depot in North Yorkshire, they are part of Two Section and their two years of National Service has just begun. Lance Corporal Jimmy Hobbs proposes to his girlfriend Norah, who works in the army canteen (NAAFI) and then goes AWOL after being chased by Private Keenan. Sergeant Butcher sees a man by his motorbike on the pier, dressed in a homemade general’s uniform and speaking only in the dialogue of David Niven; he is Private Lomax. Corporal Barrowman, having taken a dislike to Private Wratten, initiates a search for a ‘stolen’ watch and pronounces Wratten the thief. Corporal Barrowman drills Two Section on the parade ground. He is aghast that McIllvenny has permission to wear ‘soft shoes’ and that Private Hoy is unable to co-ordinate his arms and legs. Lomax fakes taking the sedative that Nurse Connie gave him and much to her surprise suddenly starts to speak like Bette Davis. Jimmy tells Norah he has a plan. Keenan apologises to Connie for being strident about his pacifist views last time they met and asks Connie if they could talk, somewhere private. Two Section undergoes bayonet training. It’s a visceral process and most do it badly. It prompts Davies to wonder if he has what it takes to be a soldier. Sergeant Butcher visits a woman at the Imperial Hotel in nearby Ravensea. Two Section is on the assault course. Barrowman tells the men that if they beat One Section’s time they will get a crate of beer: if they don’t, they will be peeling spuds for the regimental dinner that evening. White-Bowne tells Captain Gulliver that he is standing in the Oldham East by-election and will thus get exemption from National Service. Hobbs, waiting in an army cell after being AWOL, fears the worst. Lomax hides a wrapped package under his pillow. Keenan and Connie have dinner together. Barrowman continues training with Two Section and simulates a gas attack, during which Wrattan collapses. While the sections wait by the barrack room clock for their leave to begin, the nuclear attack warning sounds. Barrowman and Hobbs salute the impending Armageddon with a bottle of whisky. Hobbs, now slightly drunk, confronts Norah about their relationship. White-Bowne has found out that Barrowman used to be a sergeant and thinks Hobbs might know the story of why he was demoted to corporal. Preparations for the Remembrance Day parade begin as a telegram arrives telling that Davies’ grandfather has died, the one his family had suspected of being a coward. Captain Gulliver tells Audrey that their life will begin anew when he hands in his resignation that day. Wratten visits Barrowman in hospital and Barrowman tells his story. Keenan’s curiosity about Davies’ grandfather leads him to uncover the truth about the grandfather’s army record. White-Bowne and Rothman appear in front of the Conservative selection panel and make their respective pitches to be the next candidate. Sergeant Butcher asks Captain Bulgakov whether Lomax is really mad or just faking it.